THIS PATTERN HAS BEEN DISCONTINUED AND REPLACED WITH FLOWERS FOR MY WEDDING RING. I designed this pattern because I was getting a lot of requests for a foundation paper pieced pattern for the traditional Wedding Ring, without the star that is in my Wedding Star. Once I finished the quilt I decided to add the floral applique to give the quilt more color and depth. 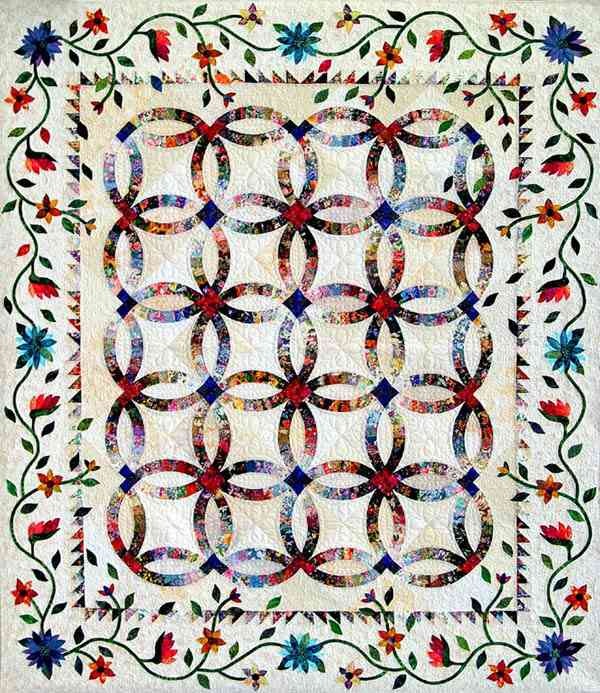 The quilt on the cover sheet was designed using several fabrics for the background blending values, texture, and color. 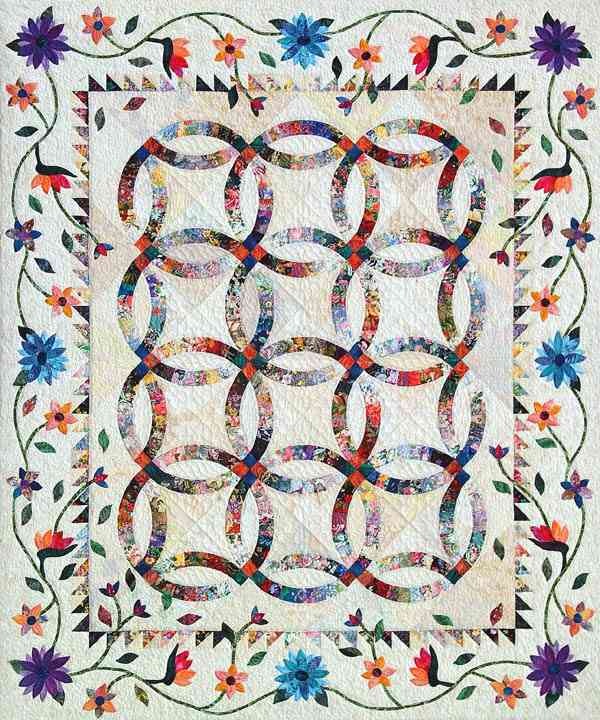 The arcs for the quilt on the cover sheet were designed using several fabrics from a selection of light, medium, and dark floral prints and shading each arc from light to dark. – 5X5 (95″ by 95″) and 5X6 (95″ by 107″) require 1 extra pkg. of arcs. – 6X6 (107″ by 107″) and 6X7 (107″ by 119″) require 2 extra pkg. of arcs. 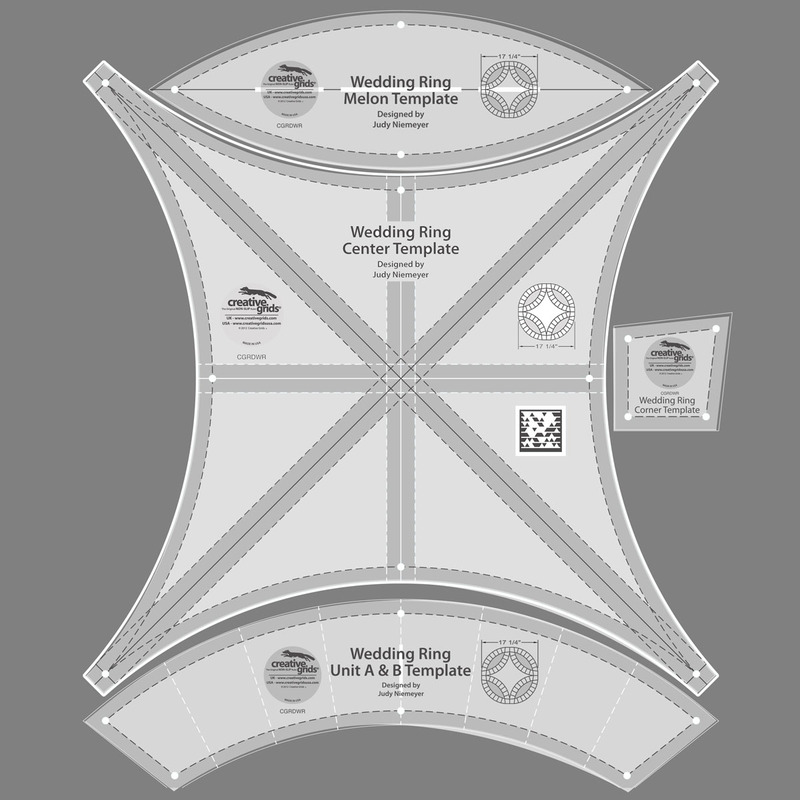 – 7X7 (119″ by 119″) require 3 extra pkg. of arcs.